Presented by: Jonathan Reichental, Ph.D.
Today's business environment requires CIOs to have a diversified portfolio of talent with a much broader set of skills. Technology professionals are increasingly emerging from the back-office in direct support of business goals, and while technical skills continue to be important, a wide range of soft skills will be an advantage. In this webcast, Trish Gray of the O'Reilly School of Technology will be conducting a live interview with Dr. Jonathan Reichental, who will be discussing the changing nature of the technology job market. He will provide practical guidance for those entering the technology job market for the first time as well as for experienced professionals who are between jobs or considering a move. Bring your questions. Dr. Reichental will answer them before, during, and after the webcast. 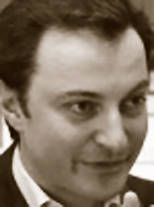 He can be reached via Twitter: @reichental. For over 20 years, Dr. Jonathan Reichental has been helping organizations across the world leverage the value of information and communications technology to solve business problems, increase effectiveness, and support revenue growth opportunities. He spent over a decade at a Big 4 consulting firm focusing on IT strategy and innovation, delivering specific expertise in emerging technologies and the impact of macro trends such as demography on organizational success. As CIO of O'Reilly Media, he is leading an IT transformation that will innovate around how technology is delivered internally to the organization and how it can enable growth in rapidly changing industries. Dr. Reichental is also a highly sought-after public speaker and presents on a range of subjects. He is interviewed often and has been featured on NPR, CIO magazine, InformationWeek and Computerworld. His TV appearances include a segment on CNBC. You can follow him on the O'Reilly Media IT transformation journey through Twitter via @reichental.